The Sabre is a Tech 2 Minmatar destroyer hull. 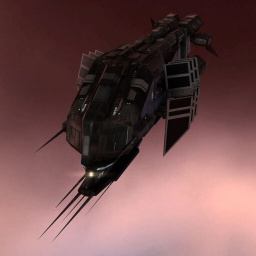 As an Interdictor, its primary reason for existence is to launch warp disrupt probes to prevent the enemy fleet from warping. Used poorly, it can hold your fleet in place and prevent your own fleet from warping which, of course, is bad. Newbie Sabre pilots want to be extremely careful when they bubble and will almost always do so at the direction of the FC. No matter what size of the fleet, or how long you've been flying a Sabre, call "Bubble Up" when you drop that bubble. As a Sabre pilot you will be primaried a lot. When you are yellow boxed warp out if you can. If not, overheat that MWD and burn away as fast as possible. Don't expect to get on a lot of kill mails as a dictor pilot. A kill mail only generates for a bubble if an enemy ship tries initiate warp when in that bubble and most pilots are smart enough to not to bother trying. But if you enjoy being the guy to ruin an opposing fleet's entire day, you'll enjoy being a dictor pilot. Further information about additional or recommended skills to pilot Sabre for a specific or it's common role(s) can be written here. This page was last modified on 3 December 2018, at 05:28. This page has been accessed 84,881 times.